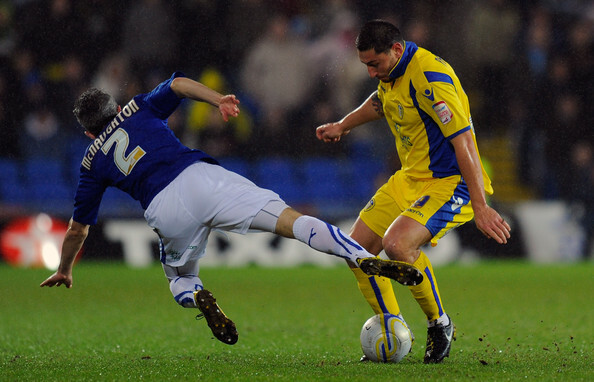 Sky Sports are today claiming that Coventry City and Brighton are planning a last minute swoop for Billy Paynter. The former Swindon Town striker has had a torrid time at Elland Road failing to reproduce the sensational goalscoring form he did in Wiltshere with just 1 goal in his 24 appearances to date. His goal drought at Leeds has seen him dubbed “Barndoor Billy” by the Leeds United fans, and there has been constant calls for the manager to cut him loose and free ourselves of his expensive wages. Paynter must feel the writing is on the wall for him at Leeds. Despite the long-term injuries of Davide Somma and Luciano Becchio, Billy is going to struggle for minutes on the pitch with Ross McCormack and loanee Andy Keogh playing so well. He also has Ramon Nunez for additional competition who has already scored five this season and can’t make the starting XI. In other news, Mike Grella has been released by Leeds United so he can sign permanently with Brentford.